Beginner Camping Weekend, Numero Six-o! Camping "The Grand Canyon of the East"
The err, Grand Canyon of the east?!? Yes, please! Another epic year, another epic OutdoorFest! Camping on a beach, for realz?!? Yes, please! Camping on a beach with wild horses?! What?! Mini-Ocktoberfest Overnight Camping, 7th Ring of Awesome! We been at this 7 years and countin’, fam! Oh snap! New waterfall camping trip! We're The Palisades. We're taking the jitny from GW Bus Depot. Outerthere fam Anna wants to show us her secret place. She's hosting this dope 5-mile loop hike and she promises we're going to see something wet ~ awkward emoji face ~ Check the clip below to see how we hike and sign up. This hike is rated beginner. Beer and burgers after at a local spot Anna likes. NO FEE HIKE. BTW, you down to host your own trip? Don't be shy! Holla atcha boy! Hosting doesn't mean leading or guiding. Just means you get your name attached to the trip and you're the primary host on camera. Check out Outerthere fam, Ike's trip earlier this year to see what it looks like. Outerthere fam will support any crazy trip idea you got. You know we down for whatever. We'll work out the details, promote it, and be there for you. Just let me know on the form below. But also, check the Outerthere Gear List to see what you'll need for a late summer trip. HEADS UP: TIMES POSTED ON HERE OR ANYWHERE ELSE (LIKE FACEBOOK, MEET UP, ETC) ARE SUBJECT TO CHANGE AS THE TRIP DAY GETS CLOSER. ONLY THE EMAIL I SEND 24 TO 48 HOURS PRIOR TO THE TRIP DATE AND ONLY AFTER YOU'VE SIGNED UP VIA THE FORM ON THE TRIP INVITE WILL CONTAIN THE MOST ACCURATE TIMES FOR OUR TRIP. ALSO, CHECK OUT THE OUTERTHERE TRIP WAIVER. You down to host your own trip? If you click yes, you'll receive a follow up email after. The Harlem Valley Appalachian Trail Community has asked for volunteers to help repair trails in this awesome park. Since we've hosted trips here, I thought it would be dope to help out. Check the clip below to see how awesome this park is and if you're around, go lend a hand! Sign up on their Facebook invite here, then let us know if you're going by filling out the form below. Get your Outerthere logo tee here, fam! Check the Outerthere recommended Gear List to see what else you'll need for summer camping. HEADS UP, FAM! THE TIMES POSTED ON THE SITE OR ANYWHERE ELSE (LIKE FACEBOOK, MEETUP, ETC) ARE SUBJECT TO CHANGE AS THE TRIP DAY GETS CLOSER. ONLY THE EMAIL I SEND 24 TO 48 HOURS PRIOR TO THE TRIP DATE AND ONLY AFTER YOU'VE SIGNED UP VIA THE FORM ON THE TRIP INVITE WILL CONTAIN THE MOST ACCURATE TIMES FOR OUR TRIP. Thank you for letting us know you're going! Outdoorfest 2018: The most awesome campout everrr! We did this trip last year and we're going back to support our Outdoofest fam in 2018! Yeah! This hike is rated beginner. Read the story and check out the clips from last year's hike and and sign up below! Disclosure: Outerthere is an affiliate of Outdoorfest and receives a commission if you buy your tix here. Thank you for letting us know you're coming! Tunneling Under Blauvelt State Park! NEW DESTINATION: Blauvelt State Park! We're taking a Coach bus up from Port Authority. NEW TRIP! FIRST TIME TUNNELING! Um, yes! We gonna check 'em out. You down? This trip is rated beginner/scouting so bring all your homies that don't scare easy. NO FEE TO GO. This trip should take about 90 minutes, so we will spend some time doing some light hiking and then headed into town. Itinerary with times will be emailed when you sign up. Check out other clips from the Caving Channel! Check out all the other Outerthere swag! Check the Outerthere recommended Gear List to see what else you'll need for a caving trip. HEADS UP, FAM! THE TIMES POSTED ON THE SITE OR ANYWHERE ELSE (LIKE FACEBOOK, MEETUP, ETC) ARE SUBJECT TO CHANGE AS THE TRIP DAY GETS CLOSER. ONLY THE EMAIL I SEND 24 TO 48 HOURS PRIOR TO THE TRIP DATE AND ONLY AFTER YOU'VE SIGNED UP VIA THE FORM ON THE TRIP INVITE WILL CONTAIN THE MOST ACCURATE TIMES FOR OUR TRIP. ALSO, CHECK OUT THE OUTERTHERE TRIP WAIVER. Located in HEADS UP above. Thank you for signing up to this trip! You will receive a details email 24 to 48 hours prior to the trip date with everything you need to know about this trip. Get your rucksack to go tunneling! Lake Stahahe in Harriman State Park! Yes, the Ike hike. Ha. We always tryin' to mix it up this time of the year, checking out new spots. That's what this is. And O.G. Outerthere fam Ike is hosting! Word. This trip is rated beginner/scouting, so bring all your homies. NO FEE TO GO. Check out the clip from last year's mix-it-up hike and and sign up below! 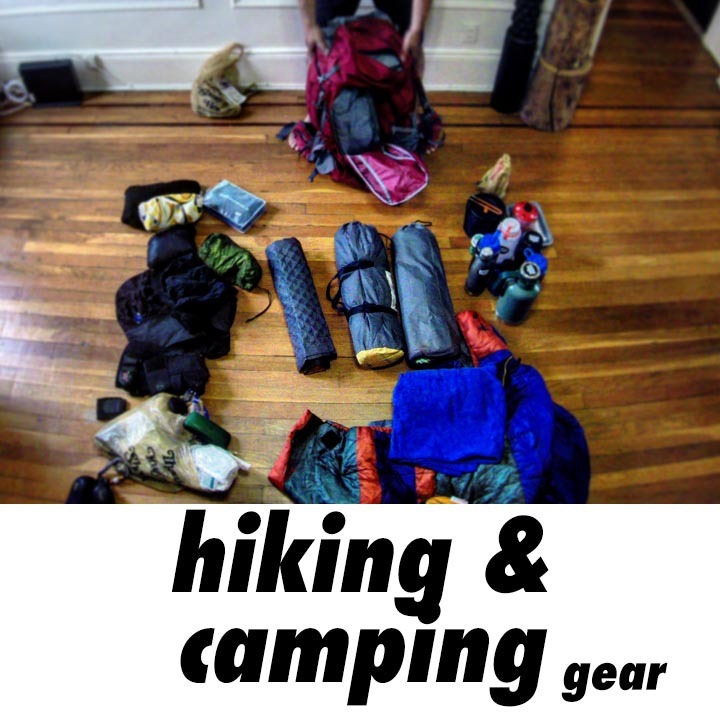 Check the Outerthere recommended Gear List to see what else you'll need for a spring hike. We're going to Mohonk Preserve in NY. Meeting at trailhead. This is a legendary hike because of a particular feature called the Lemon Squeeze. It's basically a rock climbing wall where they built a ladder you have to climb and when you get to the top, you have to squeeze through. It's no joke. And neither is the trail to get there, dope and scrambly. Although it's a short, 4-mile loop, these and other features make it a solid 9 out of 10 for difficulty. So, this is a scouting trip, since we've never done it and it's for advanced hikers only. (Check the difficulty ratings). Check the clip below to see how we hike and sign up below. No charge to go. Let me know if you're going and I'll try to arrange a carpool for you. 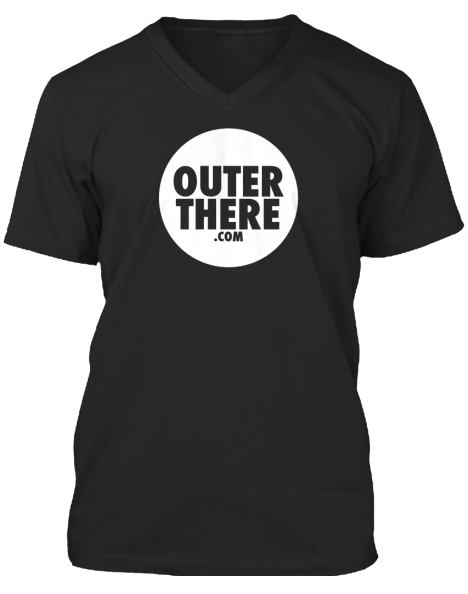 Get your Outerthere tee fam and represent! But also, check the Outerthere Gear List to see what you'll need for a late summer trip. I don't know about you, but when it's snowing, I want to go hiking anyway. Snow or no, we're hiking Breackneck Ridge in the cold. Because we're gangster like that. Depending on the weather, this hike may be point to point or a loop. This is an ADVANCED hike. HEADS UP, FAM! THE TIMES POSTED ON THE SITE OR ANYWHERE ELSE (LIKE FACEBOOK INVITES) ARE SUBJECT TO CHANGE AS THE TRIP DAY GETS CLOSER. ONLY THE EMAIL I SEND 24 TO 48 HOURS PRIOR TO THE TRIP DATE AND ONLY AFTER YOU'VE SIGNED UP VIA THE FORM ON THE TRIP INVITE WILL CONTAIN THE MOST ACCURATE TIMES FOR OUR TRIP. You can easily spend a fortune to get all the right gear for this kind of trip. (Curious what kind of gear you need? Check out the Outerthere gear list for this time of year.) However, that's not recommended for a one-off trip like this. If you don't have any friends you can borrow from (or a trust fund that won't even feel this kind of spending), then check out Outerthere homies Traverse Outfitters, the largest outdoor rental guys in NYC. Ask for Avi and tell 'em Al sentcha. He'll hook you up with whatever you're missing and you can save that money for beers, your dealer, or diapers, whatever your priorities, yo. Thank you for signing up to this hike! Please be aware that this is a very strenuous hike and the weather will make it challenging. But if you're going, awesome! You will receive details email 24 to 48 hours prior to the date. See you Outerthere! Before I started guiding trips, I'd taken several friends on this trail I put together (including my 65-year old mom!) and everyone's loved it because it parallels a stream - which is fed by a dammed lake - and the altitude gains are gradual, so you can leave your climbing gear at home. Although we'll be walking approximately 7 miles between two villages, we should be arriving at Tuxedo in time to catch the 6:30 train back home. Sebago Lake, like most of the other bodies of water in this area, is not swimmable (according to signs you won't even notice), but it is fishable (in case you want to catch your lunch). Once we cross this point, we'll relax and then we've got the entire trail practically to ourselves until Tuxedo; and you'll appreciate it, because after a lake-side snooze, you'll have to fight the -itis hard to get to the end and you don't want anyone else seeing that. We'll be meeting at the entrance to NJ Transit in Penn Station in NY at 8:45a for a 9:14a departure. Purchase your round-trip ticket to Tuxedo via Secaucus Junction. Tickets are apprx $25 from the tellers. We should be back at Penn Station by approx 8p. Here's my handy-dandy checklist for what gear to bring. Hashtag your Instagram and Facebook pics with #outerthere so all your homies can get jealous or inspired and come out, too! And don't forget to check the twitter @Outerthere for updates! Thank you for signing up to this trip! You will receive an email with additional information 24 to 48 hours prior to this trip. See you Outerthere! The Palisades in NJ have a fascinating history. With evidence of native American habitation dating back to 5000 BCE, everyone from George Washington to John D. Rockefeller had a role in deciding their fate. Today, 2 trails line it, the Long Path on the top and the Shoreline Trail at the bottom. We're doing the Shore Trail, starting at the southern most tip and as far as we can go. The intention is to get as far as the Rockslide, which is approximately 10 miles north from our starting point and should take approximately 4 or 5 hours at a steady pace. This trip is a point-to-point, and the expectation is to catch a bus back to Port Authority from any of the bus stops at any of the towns that we will cross. Check out how I define scouting difficulty. We'll be meeting in front of the Schnippers at the ground floor of the New York Times Building on 41st street and 8th ave at 9:10am and walking over as a group to the Port Authority on 41st and 8th ave to buy our roundtrip tickets to Fort Lee. Bus leaves 9:30am. Don't be late. As always, we go rain or shine. Sign up below to get the detailed email. Not sure what to wear for this adventure? Check out my recommendations. Thank you for RSVP'ing to this trip! You will receive an email with additional information apprx 24 to 48 hours prior to this trip. See you Outerthere! The Pawling Nature Reserve is 1,000 acres of pristine forest in Dutchess County, NY, smack in the middle of what I recently learned was the Great Swamp, one of the largest, freshwater wetlands in NY state, spread out over 6,000 acres in the Harlem Valley, and filtering the water supply for almost every city between Pawling and NYC. An easy 3-mile loop, I’m seriously hoping there’s snow on the ground for this one, because it’ll make it twice as awesome! It’s a 2-hour train ride on the Metro North Harlem line, so we’ll be meeting at the clock at Grand Central Station at 9:15am to catch the 9:47am train to Appalachian Trail Station. From there, we can have a light snack, hike 2 hours, leisurely lunch (weather dependent), then hike out. We’d catch the 4:45p back home, and arrive back at Grand Central around 6:45p. It'll be 60s and sunny, so you can leave the heavy coats and winter boots at home. That said, always bring some kind of layers and enough food and water to snack, but not get full. Hashtag your Instagram and Facebook pics with #outerthere so all your homies can get jealous or inspired and come out, too! And don't forget to check our twitter @Outerthere for updates! Did you read the Outerthere Waiver and Fine Print? Thank you for signing up to this Outerthere trip! Need to know what to bring? Check this page.